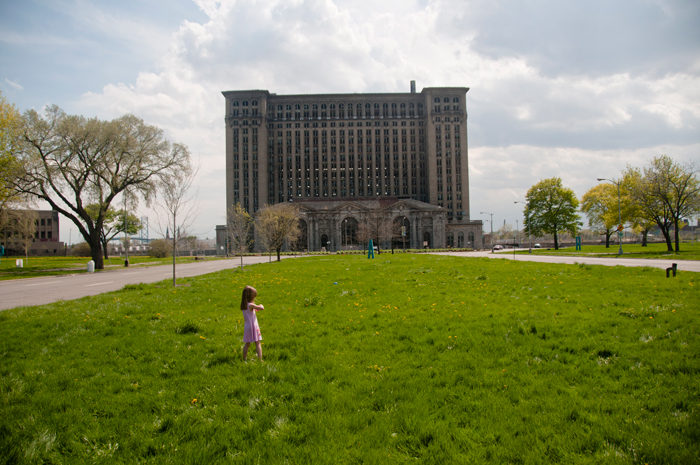 Our friends threw a birthday party for their son recently, and the only organized activity was flying kites in Roosevelt Park across from the Michigan Central Station (in their neighborhood). Instead of a "gift bag" full of crap that nobody actually wants in their house, each kid just got a cheap kite. Why doesn't everyone do this sort of thing for kid birthday parties? It's definitely our philosophy (this year for our daughter's party, I simply got up early and shoveled the snow off the ice in front of the Flynn Pavilion and we had a guerrilla ice skating party on Belle Isle, which cost us nothing more than a couple pairs of extra used skates, hot chocolate, and balloons. Wendell gave dog sled rides, some kids pushed others around on chairs, and we met back at our house for pizzas and cake.) I'll never get why people go crazy with kid birthday parties. 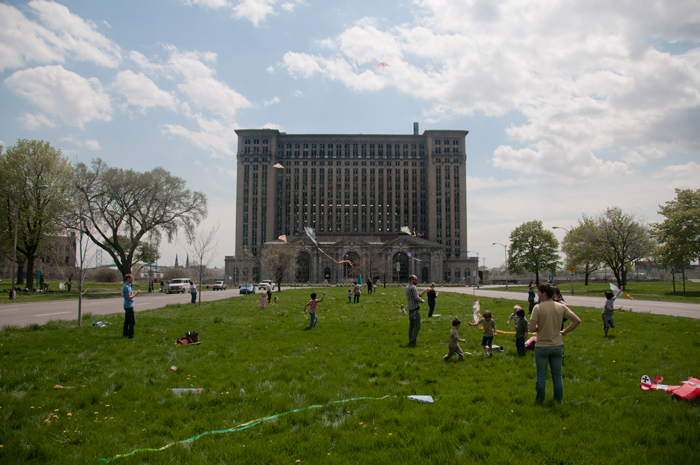 The kite-flying party benefited from perfect weather. 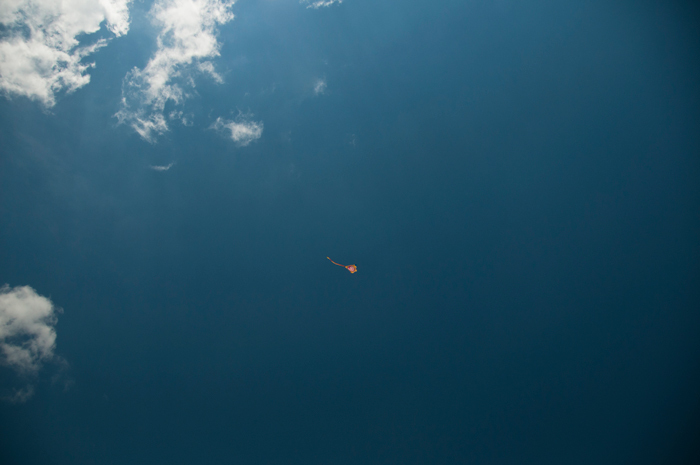 And my daughter proved to be quite the skilled kite flyer. She didn't want to leave.